Up until 14 hours ago, that video had been watched 232 times. In the past 14 hours, it has been seen 21,378 times. The top post on Reddit this morning was a guy who made a similar but different video. The top comment to that post was another guy who said he had attempted something like that a few months back, but ultimately failed because his life "wasn't interesting enough". The top comment in response to that was me, saying I attempted something like that a year ago, and doing so makesyour life interesting. I posted a link, then forgot about it until after lunch. When I saw the response it was getting, my jaw dropped. Most of my day today has been spent reading comments and generally feeling good about myself. Since I started writing this post, that video has been watched an additional 144 times. That's gross. No, that's a gross. Yeah. I took a week off. Life happens. I'm going to make this update into 3 short updates in one. 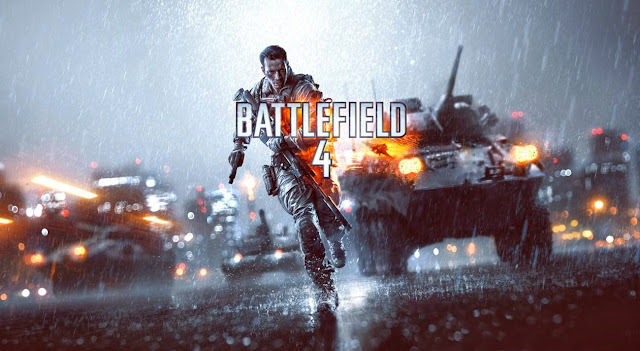 Today I am writing exclusively about Battlefield 4, Android 4.4, and the Nexus 5. I'm going to tackle them in that order. Each will begin with an image and end with a Top 5 Features section. Feel free to skip anything you don't have any interest reading about. I don't write much about videogames and, truthfully, I don't play them all that often. Both of those things are temporarily changing thanks to Battlefield 4. A little over 2 years ago Battlefield 3 came out. Since that time, I've played it more than I've played any other single game. I've held it up as the golden standard of videogaming. I always thought it was perfect, and couldn't be improved on in any way. Two days ago, it's sequel came out and proved me wrong.